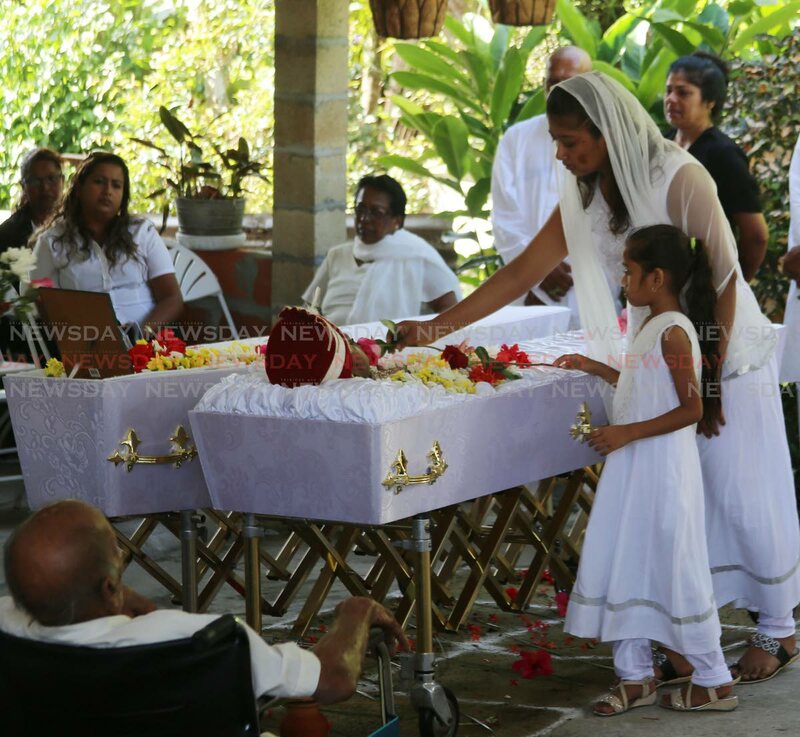 THE bodies of 60-year-old Penal father Prem Singh and his 30-year-old son Ryan, who died in a car crash on Wednesday last week, were cremated side-by-side at the Shore of Peace, Mosquito Creek after a funeral at their home yesterday. Ryan was driving his silver Mitsubishi Lancer car on the Solomon Hochoy Highway near Debe when he lost control and struck a lightpole. His father was a front seat passenger. Family friend Navindra Latchman, of Penal, was rescued from the wreckage and is at hospital in critical condition. Ryan, he said, was the apple of his father’s eyes. Jacob said Singh was a dedicated father who worked hard to provide for his children and would take good care of them when his wife, a nurse, worked night shifts. Reply to "Father and son cremated side-by-side"